Exclusive offer for AT&T customers. Transform your SB into more AT&T mobile data! 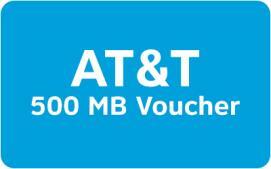 Click this link to verify your eligibility for the AT&T Mobile Data Rewards: AT&T Eligibility Verification Check. Redeem SB and get data for your AT&T account at start of your next bill cycle. Earned data expires at the end of bill period. Data rates apply. Receive free SMS confirming deposit. Learn More.